Brighten Up Series. 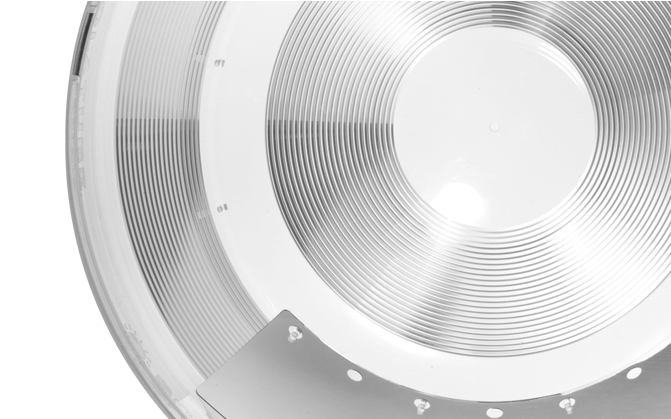 Bringing new light to dark spaces. 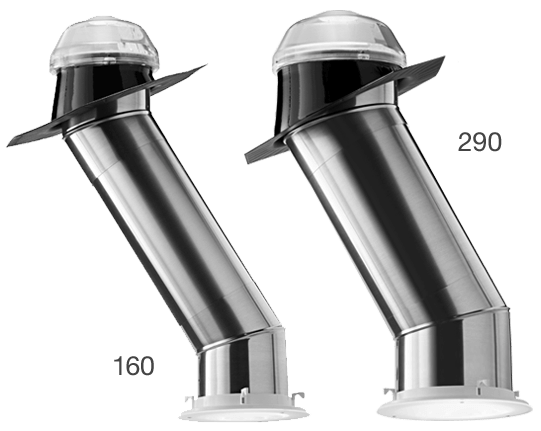 Our daylighting systems offer different tubular daylighting devices (160 DS and 290 DS) with varying lengths to fit different applications and space sizes and fill them with natural light. 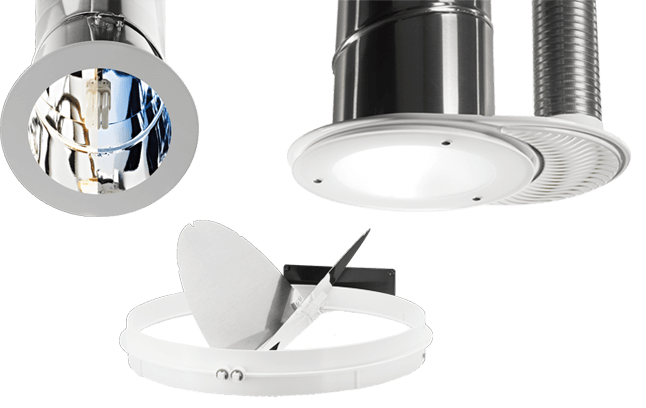 To match up with Solatube Daylighting Systems’ two device sizes, there are two different sized domes, each of which integrates technologies to maximise the capture of sunlight, even in lower light conditions and geographies. 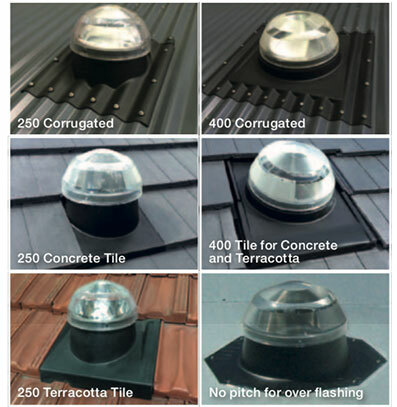 Fabricated as a single, seamless piece to ensure leak-proof performance, flashing kits are available for all roof types and pitches. 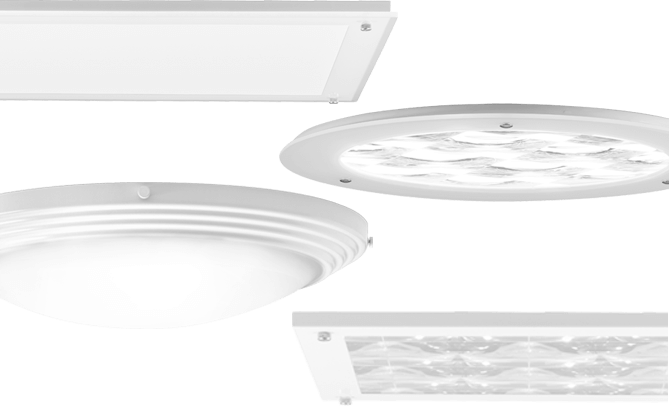 We offer a full line of attractive fixtures – both round and square – that create gorgeous spaces in your home with beautiful, diffused light.